El Convento has a wide variety of amenities available to all guests, such as a fitness center (including treadmill, stair-climber, and free weights), massage by appointment, a rooftop sundeck with plunge pool and Jacuzzi®, valet parking, 24-hour Guest Services, complimentary newspapers, free Internet service for guests, and afternoon wine and hors d'oeuvres daily. Guests can enjoy the beach and pool privilages at El Convento Hotel's sister properties, located on two of the best beaches in Puerto Rico. 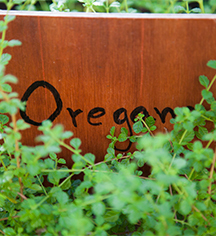 The hotel features its own herb garden where the produce, including herbs and fruit, are utilized in the delicious cocktails at the Alegria Patio Bar and in signature dishes at the restaurant. 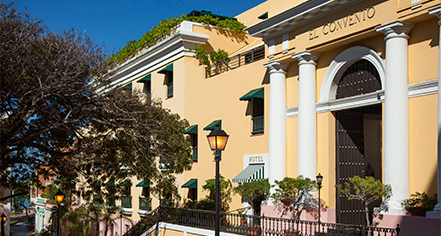 Join the hotel on Thursday evenings for Acoustic Nights where guests can experience the rhythm of Old San Juan.